Lunar Blaise JLH079 women's sandal. 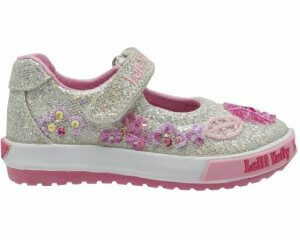 A glamorous and glitzy style that will add sparkle to each step you take. The cross strap is delicately covered in glistening diamantes that sparkle perfectly against the metallic bands. The ankle strap allows for a secure fit and underfoot cushioning provides comfort making this style ideal for all day wear.